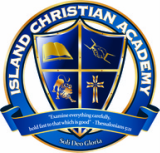 "We feel that the teachers and staff of Island Christian Academy place a great deal of personal investment in each of our children - not only academically and socially, but also spiritually. We can sense that they pray for our children, and love them individually for the gifts and talents God has given them. The teachers notice each individual child. Children are never just a "number" at Island Christian Academy. Our children thrive and flourish both academically and spiritually in such an environment. School has become an extension of our home and the Christian family values and love we strive to instill in our children. They are a support system for us as parents. We are grateful beyond words for the teachers and staff of Island Christian Academy!"